Canterbury’s Vapodri Training Tee employs our unique Vapodri fabric technology to lift moisture from the skin, accelerate evaporation and keep you cool, dry and comfortable while you train. The Vapodri Training Tee is designed to work as hard as you do when training. It employs Canterbury’s patented Vapodri technology to lift moisture away from the body and distribute it evenly across the fabric, helping speed up evaporation through external and body heat. That means you’ll stay cool, dry and comfortable in this classic Canterbury garment even in the toughest training session. 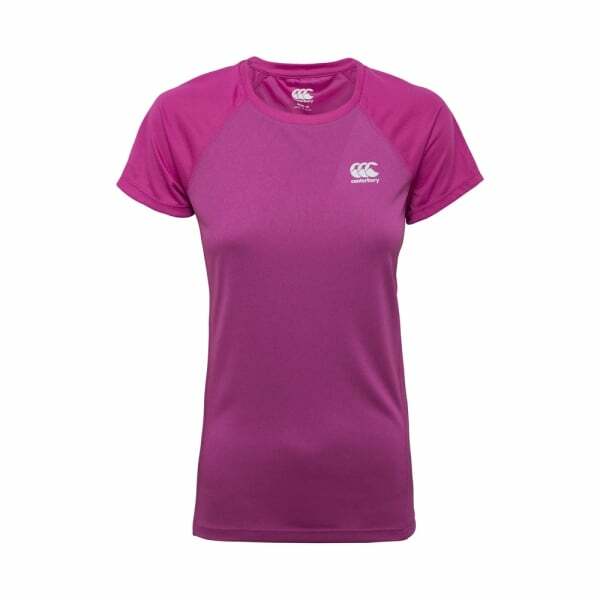 And like all our training wear, it comes with a choice of colours and Canterbury’s famous CCC logo on the chest to keep you looking great whether you’re working out or relaxing with friends and mark you as a member of the elite Canterbury community.